Arbor Vitae Wellness Providers Magdy S Guirguis, D.C.
Raised in a family of doctors, Magdy S. Guirguis was always destined to be in the medical field. After years as a high school and college athlete and a 35-year career in volleyball as a player and a coach, Dr. Guirguis sustained many injuries, inspiring him to delve into the healing arts. His interest stemmed from his desire not only to relieve the pain but also to practice healthiness in his daily life. 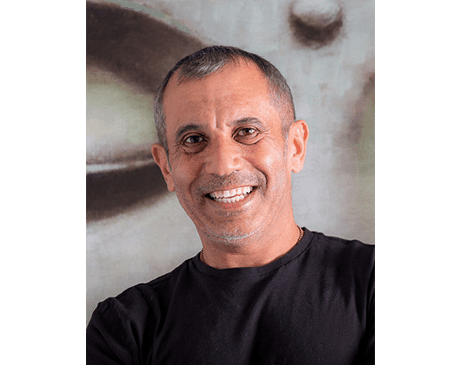 Shortly after graduating from Cleveland Chiropractic College in Los Angeles in 1988, Dr. Guirguis founded Advanced Chiropractic Center in 1991. In eight short years he founded Arbor Vitae Wellness Center as a way for his patients to receive their holistic healthcare all in one place. Through his 30 years of providing care for families, collegiate and professional athletes, and local sports teams, Dr. Guirguis has specialized in Chiropractic Manipulation, Applied Kinesiology, Physical Therapy, and Holistic Medicine to maintain the most efficient and effective healing for his patients. His number one goal is to be of service to his patients in any way possible. Outside of having a passion for the healing arts, Dr. Guirguis is a father who enjoys weight lifting, running, and volleyball. He believes in cultivating a healthy and balanced active lifestyle, as well as a spiritual approach to health, with meditation and a daily yoga practice.